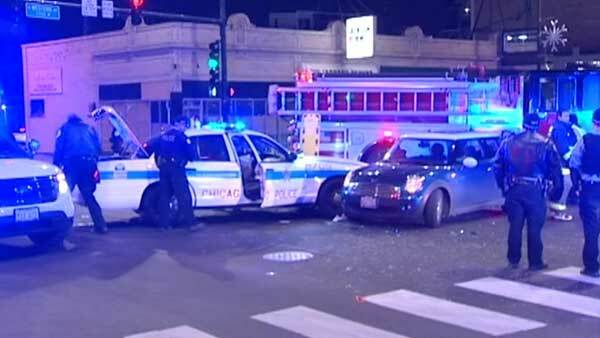 CHICAGO (WLS) -- Two police officers were injured after their squad car crashed into another vehicle in Chicago's Logan Square neighborhood. Police said the two female officers were responding to a call with their emergency lights on when their squad collided with a Mini Cooper at the intersection of Western and Armitage avenues around 10:45 p.m. Thursday. Both officers were taken to the hospital with minor injuries. Investigators said the male driver, 26, is expected to be cited.